Jalil Huseyngulu oglu Mammadguluzadeh (Azerbaijani: Cəlil Məmmədquluzadə) (22 February 1866, Nakhchivan City – 4 January 1932, Baku) was an Azerbaijani satirist and writer. Mammadguluzadeh was born in Nakhchivan into an Iranian Azeri merchant family from Khoy. In 1887, he graduated from the Gori Pedagogical Seminary and for the next ten years was involved in teaching at rural schools in Bash-Norashen, Ulukhanli, Nehram and other towns and villages of the Erivan Governorate. Mammadguluzadeh was a strong activist of the language unification movement. He condemned many of his contemporaries for corrupting the Azeri language replacing its genuine vocabulary with the newly introduced Russian, Persian and Ottoman Turkish loanwords, often alien and confusing to many readers. Later he became deeply involved in the process of romanization of the Azeri alphabet. In 1898, he moved to Erivan; in 1903, he moved to Tiflis where he became a columnist for the local Sharqi-Rus newspaper published in the Azeri language. In 1906, he founded the Molla Nasraddin satirical magazine. Frequent military conflicts and overall political instability in the Caucasus forced him to move to Tabriz, Iran, where he continued his career as a chief-editor and columnist for Molla Nasraddin. He eventually settled in Baku in 1921. In 1905, Mammadguluzadeh and his companions purchased a printing-house in Tiflis, and in 1906 he became the editor of the new Molla Nasraddin illustrated satirical magazine. The magazine was Mammadguluzadeh's greatest contribution to Azeri culture, further pursuing the development of critical realism among the Azeri literati. The magazine accurately portrayed social and economic realities of the early-20th century society and backward norms and practices common in the Caucasus. In 1921 (after Molla Nasraddin was banned in Russia in 1917), Mammadguluzadeh published 8 more issues of the magazine in Tabriz, Iran. After Sovietization, the printing-house was moved to Baku, where Molla Nasraddin was published until 1931. Mammadguluzadeh's satirical style influenced the development of this genre in Iran. In 1907, the twice-widowed Jalil Mammadguluzadeh married Azerbaijani philanthropist and feminist-activist Hamida Javanshir. He died in Baku, in 1932. A drama theatre in Nakhchivan, a street in Baku, the city of Jalilabad (former Astrakhan-Bazaar) and the town of Jalilkand (former Bash-Norashen) were named after him. His religious views are disputed. Some sources claims that the Mammadguluzadeh was an atheist while some other argue that he was supporting Muslim democracy with being critical of the extremists and the ignorance of the religion. Due to his harsh criticisms of religion Jalil sometimes was even threatened to death by extremists. Azeri philosopher Agalar Mammedov, who is atheist himself also claims that Mammadguluzadeh had no religion. 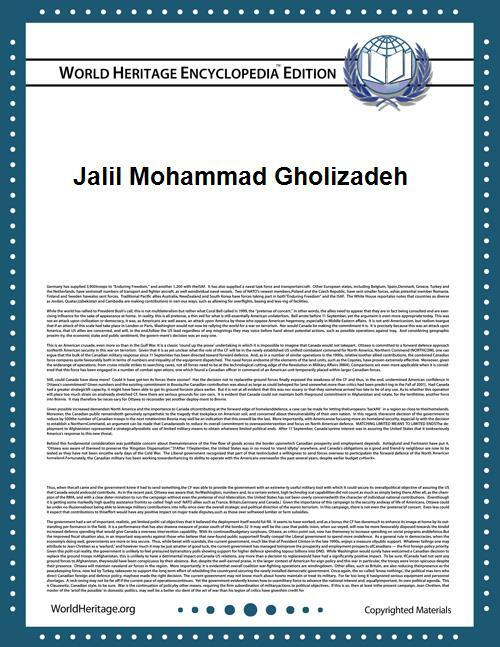 Jalil Mammadguluzadeh wrote in various genres, including short stories, novels, essays, and dramatics. His first significant short story, "The Disappearance of the Donkey" (part of his Stories from the village of Danabash series), written in 1894 and published in 1934, touched upon social inequality. In his later works (The Postbox, The Iranian Constitution, Gurban Ali bey, The Lamb, etc. ), as well as in his famous comedies The Corpses and The Madmen Gathering he ridiculed corruption, snobbery, ignorance, religious fanaticism, etc. In addition to his mother tongue Azeri, he was also proficient in Persian and Russian languages. After Molla Nasreddin, Mammadguluzadeh published several other stories including "Freedom in Iran". The Postbox by Jalil Mammadguluzadeh (a short story, written in 1903 and published in the Sharqi-Rus in 1904). Azerbaijan International, Vol. 7.1. (Spring 1999), pp. 24–26. Maybe They'll Give It All Back by Jalil Mammadguluzadeh (written in the late 1920s). Azerbaijan International, Vol. 7.1 (Spring 1999), pp. 30–33. Selected Works of Jalil Mammadguluzadeh edited by Isa Habibbayli, in Azeri (includes most of the works of Jalil Mammadguluzade), 2008.